Africa: Why Does HIV Kill More Men Than Women? In East and Southern Africa, more than half (54%) of people dying of Aids related illnesses were men and boys, although they represent only 46% of those infected with HIV in the region, according Unaids' 2017 Global Aids update. But studies show that men's low utilisation of services is not merely the consequence of their poor health-seeking behaviours or attitudes about manhood. Health services are often not designed to attract men. Sonke Gender Justice's analyses of health policies in Africa found that most of them don't integrate men's health needs into broader policy frameworks. 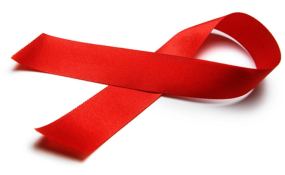 Governments therefore need to rethink and redesign HIV-related health service delivery. Some African governments have made progress in this regard. Rwanda has made involving men in HIV services a priority. The country's prevention of mother-to-child transmission (PMTCT) of HIV stipulates that not only pregnant women but also their partners are offered HIV testing and counselling at their first visit to an antenatal clinic. A campaign, called Going for the Gold, encourages male partners of pregnant women to accompany them to antenatal clinic visits. It has resulted in a significant increase in men's uptake of HIV testing: Rwandan health ministry data shows that, in 2003, when the PMTCT policy was introduced, only 16% of men tested for HIV along with their pregnant partners; in 2013 that figure increased to 85%. During the same period, HIV infection rates fell dramatically among pregnant women and their male partners - from about 10% to about 1% for both sexes. In Uganda, a project called Optimising HIV Treatment for Pregnant and Breastfeeding Women Initiative encourages couples to test for HIV together, a 2016 Unicef report says. This has resulted in the uptake of couples' HIV counselling and testing increasing between from 13% to 97% in one district between 2013 and 2014. Unaids and Sonke Gender Justice has produced a documentary on how to get men to use HIV services. In the film, which will be released later this year, a Kenyan local health promotion officer makes it clear: "If we want male involvement in health services, inclusive of the HIV programming, then it is most appropriate for us to reach the men at their workplaces, be it in their offices, be it in their companies, in institutions where they are engaged over the daytime. In their social places where they socialise as men; or even those who are self-employed." We need to replicate these examples. In December 2015, Unaids co-convened a high-level meeting in Geneva. A global platform for action on men and HIV was developed and launched at the International Aids Conference in Durban in 2016. This programme is gaining traction: this year's Unaids report pays unprecedented attention to the plight of men and their disproportionately poor access to services. We will not end Aids if we don't make sure our health strategies focus on encouraging men to use health services and work with men to foster greater gender equality.